My friend just shared with me an old Independent article, “Modern Art was CIA ‘Weapon'” (22 October 1995). 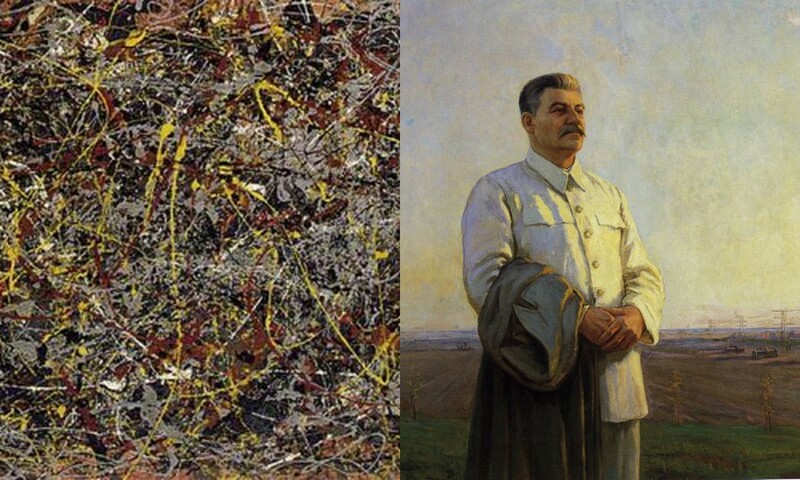 It has been revealed that the American CIA used unwitting artists like Pollock and De Kooning to make political statements during the cultural Cold War with Russia. The decision to include culture and art in the US Cold War arsenal was taken as soon as the CIA was founded in 1947. As Abstract Expressionism (and modern art in general) gained momentum in the 1950s and 1960s, the CIA used this art to foster images of American creativity and and intellectual freedom. I think it is so interesting that the CIA used modern art as a political weapon, because art critics like Clement Greenberg endorsed modern art (specifically Abstract Expressionism) because it wasn’t associated with politics. Political art was “kitsch” in Greenberg’s opinion (as he emphasized in his 1939 essay, “Avant-Garde and Kitsch”). So, in some ways, the CIA was giving Abstract Expressionism political associations that were fundamentally opposed to the tenants of the movement! I’m sure Greenberg would have been appalled to know that his beloved modern art was being used for such lowly (!) propagandistic purposes. 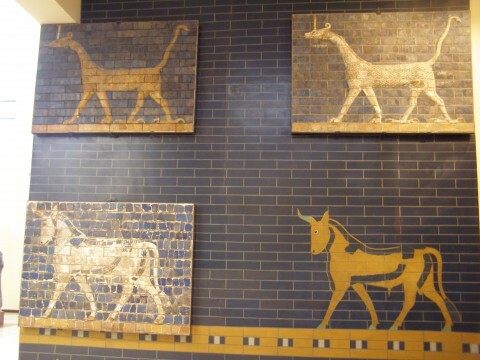 UPDATE: The “So-Called” Ishtar Gate? “Nebuchadnezzar, King of Babylon, the faithful prince appointed by the will of Marduk, the highest of princely princes, beloved of Nabu, of prudent counsel, who has learned to embrace wisdom, who fathomed their divine being and reveres their majesty, the untiring governor, who always takes to heart the care of the cult of Esagila and Ezida and is constantly concerned with the well-being of Babylon and Borsippa, the wise, the humble, the caretaker of Esagila and Ezida, the firstborn son of Nabopolassar, the King of Babylon. Both gate entrances of Imgur-Ellil and Nemetti-Ellil —following the filling of the street from Babylon—had become increasingly lower. Therefore, I pulled down these gates and laid their foundations at the water-table with asphalt and bricks and had them made of bricks with blue stone on which wonderful bulls and dragons were depicted. I covered their roofs by laying majestic cedars length-wise over them. I hung doors of cedar adorned with bronze at all the gate openings. I placed wild bulls and ferocious dragons in the gateways and thus adorned them with luxurious splendor so that people might gaze on them in wonder. Without this inscription or other contemporary inscriptions calling this structure the “Ishtar Gate,” I can see why one would wonder how this gate was associated with Ishtar. 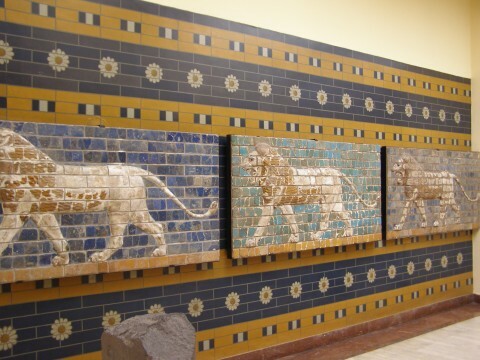 After, all the symbol of the lion, which is associated with Ishtar, lines the so-called “Processional Way” which leads up to the gate, but is not found on the gate itself. 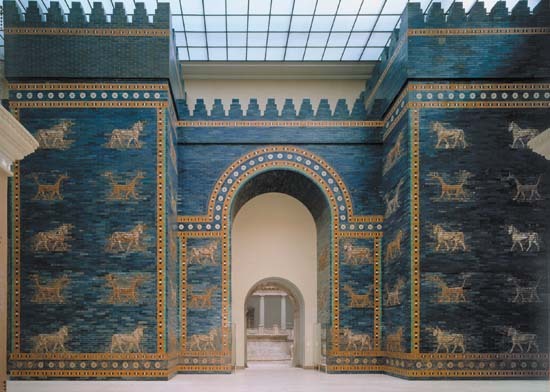 Instead, the gate is covered with symbols of the god Marduk (the patron god of Babylon) and the god Adad (the storm god). The bull with blue horns and blue tails was associated with Adad. The dragon-like creature (with the head and body of a snake, the forelegs of a lion, and the hind legs of a bird of prey) were sacred to Marduk. The lion motif in the so-called “Processional Way” helps to indicate that Ishtar was supposed to be honored and celebrated, however. After all, during this Neo-Babylonian period (which, after twelve centuries brought splendor back to Babylon during this period in the ancient Near East), it would make sense that Ishtar, the fertility goddess of rejuvenation, would be honored. During this time, Babylon itself was revived and rejuvenated. Additionally, A. R. George notes that “the ceremonial name of the Istar Gate reflects the character of Ishtar as a goddess of battle.”2 With the Medes’ relatively recent defeat of the Assyrians and capture of Nineveh in 612 BC (which established the Neo-Babylonian empire), it makes sense that Ishtar would also be recognized in this role. Does anyone know more information about the history of this gate? Given this second inscription that David Byron shared with me, I’m curious as to whether anyone has confirmed through analysis that the gate is actually glazed with lapis lazuli. I have read elsewhere that lapis lazuli would have been too expensive of a medium to be used on such a monumental structure. Should we take Nebuchadnezzar II’s inscription at face value? Perhaps this king wanted to give a greater impression of his wealth and prestige by claiming that the bricks were glazed with lapis lazuli? 1 This inscription can be found multiple places online, but I found this translation HERE. It is interesting to note that Nebuchadnezzar II’s inscription states that the gate was made with “stone.” This isn’t quite true: it is made out of glazed brick. However, Nebuchadnezzar II does claim in the second inscription in this post that these bricks were glazed with lapis lazuli. I haven’t come across any analysis to confirm that the bricks are actually glazed with lapis lazuli. 2 A. R. George, Babylonian Topographical Texts, Orientalia Lovaniensia Analecta series, Louvain, Peeters Press, 1992, 339-441. Citation available online HERE.Based on this inscription, it seems like it would be more appropriate to say that the Ishtar Gate was dedicated to Marduk, not necessarily Ishtar. 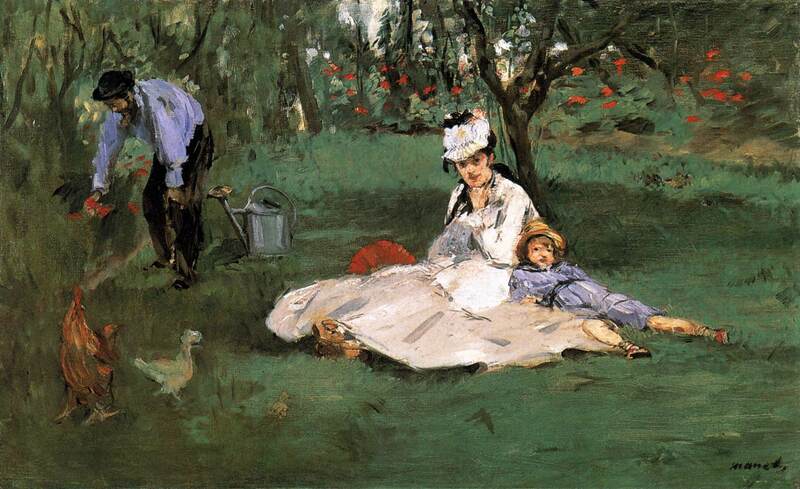 I don’t really care for Renoir’s art, and it turns out that Manet felt the same way. I have a feeling that Manet and I would have gotten along! Yesterday I was introduced to Manet’s portrait of the Monet family through a film screening of the exhibition, Manet Portraying Life. This show is currently on display at the Royal Academy of Arts in London. This film screening was informative and entertaining. I especially liked the analysis of the paintings given by various individuals who were invited onto the set, including curators, artists and even an actress, Fiona Shaw. 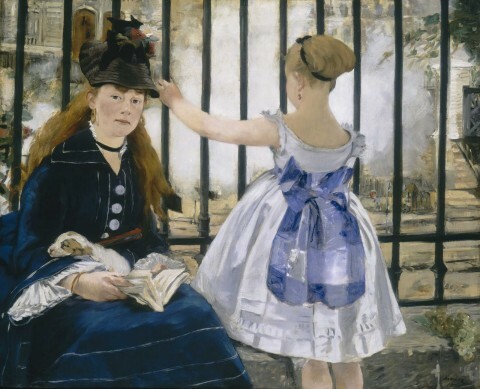 The host Tim Marlow and Shaw had a really interesting conversation; they discussed how Manet’s The Railway (shown below) seems to include an interesting pattern – almost a barrier – created by the iron bars. These bars seem to separate these delicate females (and the viewer) from the industrial world of the railway. Even the smoke coming from the railway area seems to add an element of mystery (or perhaps inaccessibility) to modern life. Manet felt that Velasquez was the greater painter of all time. Carte-de-visite photographs may have influenced Manet’s work; these comparatively cheap photographs were left as little tokens or remembrances when an individual visited friends or family in the 19th century. Manet may have looked to some carte-de-visites when working on specific portraits. This information made me wonder if the monochromatic tan background or sepia-like tones of photographs might have directly or indirectly influenced the backgrounds Manet used for several of his portraits (for example, as seen in his Portrait of Berthe Morisot from 1872). I also enjoyed that the film included some of the background information about Manet’s life and/or the history behind the paintings themselves. I appreciated a discussion of Baudelaire’s “Painter of Modern Life” idea in conjunction with Music in the Tuileries Gardens. 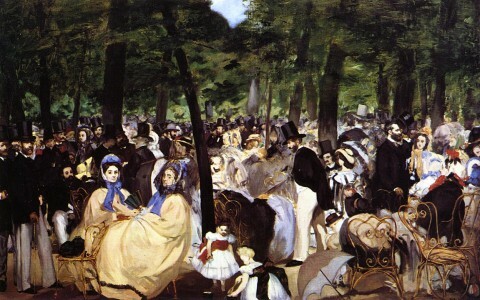 The film host emphasized that Manet is shown as a flâneur in this painting: he is depicted in the left corner, an observer of modern life who is separated from the crowd. Another commentator in the film also jokingly noted that Manet has decided to depict different prominent critics and writers in the painting: those who might have written and commented on Manet’s art found themselves within the crowd! I also learned that this painting alternates between spending six years in the National Gallery in London, and then six years in The Hugh Lane gallery in Dublin. This arrangement is due to a bequest that was contested: when Hugh Lane suddenly died in 1915, his official will stipulated that the painting would go to the National Gallery, but an unofficial addendum to the will (found in his desk) said that the paintings should be in Dublin. The six-year arrangement is a balance between following the legal will and honoring the wishes of the deceased donor. I was hoping that the film camera would move through the different galleries so one could get a feel for the hanging and the layout of the exhibition space, but that didn’t really happen too much. Instead, the film mostly examined isolated works of art. Only some of the paintings in the show were discussed or even shown, which has led me to look for additional information and interviews about the show elsewhere online. That being said, I still really enjoyed the film; I hope to attend the future screenings this year (on exhibitions about Munch and Vermeer). Did anyone else go to this film screening or see this exhibition (either at the Royal Academy of Arts or at the Toledo Museum of Art)? What were your thoughts? This quarter I am working with just a few of the senior art history majors on a special “Directed Study” course. 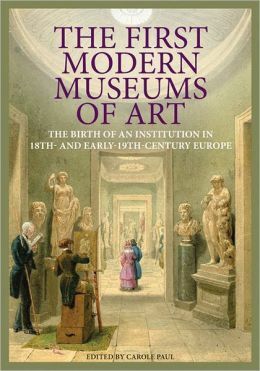 We are exploring museum history and curatorial theory, using two new books: The First Modern Museums of Art: The Birth of an Institution in 18th- and 19th-Century Europe (2012) and New Museum Theory and Practice: An Introduction (2011). I really like that The First Modern Museums of Art is written in a very approachable, yet scholarly, way. Each chapter serves a case study for a different museum that was established; the book proceeds in a chronological fashion, based on founding dates for the institutions. This week, my students and I read about the Capitoline Museum (established 1733). Carole Paul writes about how the objects within the museum serve as strong signifiers of political and cultural heritage. The museum, which contains a lot of Roman art, emphasizes Roman authority and jurisdiction. The artistic “progression” and superiority of Roman culture (and those Westerners who are heirs to the Roman tradition) are implied in many ways, including the display of art. For example, the visitor encounters Egyptian figures before the Greco-Roman antiquities, which suggests both artistic and political succession. The political associations and signifiers of power also extend into the collection. I think it’s particularly interesting that the bronze sculpture of the she-wolf forms part of the collection, given the history of the piece. 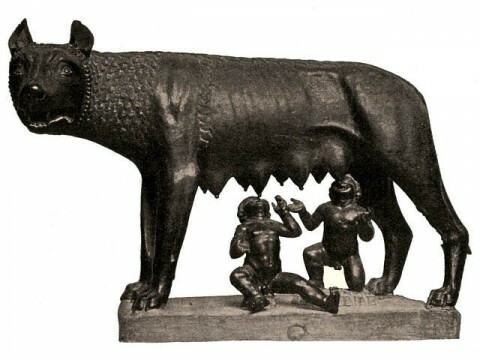 Before Sixtus IV donated this sculpture to the Compidoglio (Capitoline Hill), the she-wolf was displayed in the Lateran Palace, the pope’s official residence.1 This she-wolf was seen as a symbol of the city, since the founders of Rome, Romulus and Remus, were suckled by a she-wolf. As part of the papal collection, this statue then served as a symbol of papal jurisdiction and the papal succession of authority after pagan rule. Given these associations with Roman history, I can see why the Capitoline Museum seemed a bit hesitant to acknowledge the recent analyses which determined that the “She-Wolf” statue was cast during the medieval period! This was big change in the traditional attribution, which placed this statue in the fifth century BC (as an example of Etruscan art). When I covered this story in 2010, over two years after the new study results were made available, I was surprised that the Capitoline Museum did not have the updated medieval date on its website! Now that I understand the political and authoritative statements behind the formation of this museum, though, I can see why the museum seems to have been hesitant to acknowledge this new information. The museum would want to endorse this as a work of art as an authentic piece from the Etruscan/pre-Roman period, in order to emphasize the institutional message of Roman authority. If the “She-Wolf” is a medieval work of art, there isn’t as direct of a connection to Roman history. However, today I went back and checked the Capitoline Museum website again. Now the site has been updated to acknowledge the alternate date and also mentions the Carbon 14 analysis (albeit that the information is slightly hidden under a “Reveal text” button). What have been your experiences at the Capitoline Museum? Did you feel like the message of Roman authority and power came through during your visit? 1 Carole Paul notes that this wolf (lupa) was in fact returned to its rightful home through Sixtus IV’s donation. Paul writes that the wolf “had originally stood on the Campidoglio and in 65 BC had been struck by a bolt of lightning that apparently broke her feet and destroyed the suckling twins, who were replaced only in the fifteenth century.” See Carole Paul, “Capitoline Museum, Rome: Civic Identity and Personal Cultivation” in The First Modern Museums of Art: The Birth of An Institution in 18th- and 19th-Century Rome, Carole Paul, ed., (Los Angeles: Getty, 2012), 22. Given that the she-wolf is now thought to have been produced in the medieval period, I personally think that Paul might be referring to a different depiction of a wolf (perhaps lost) or that this story might have been a myth. Paul cites a 1980 publication by Richard Krautheimer in relation to this story about the lightening bolt. Therefore, she does not seem take into account the more recent Carbon 14 analysis and medieval date.